The same ultrasound machine that is used to map problems within the veins is used to help guide a very fine needle into each varicose vein to inject the sclerosing solution. 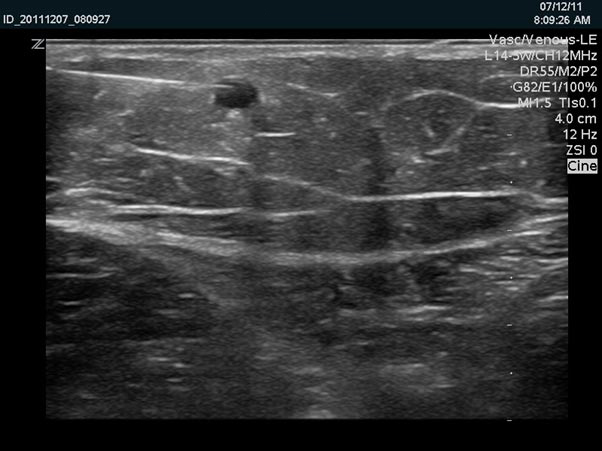 Using ultrasound guided sclerotherapy Dr Roberts is able to see the veins deeper in the leg. Starting near the top of the leg a fine needle is put directly into the vein. 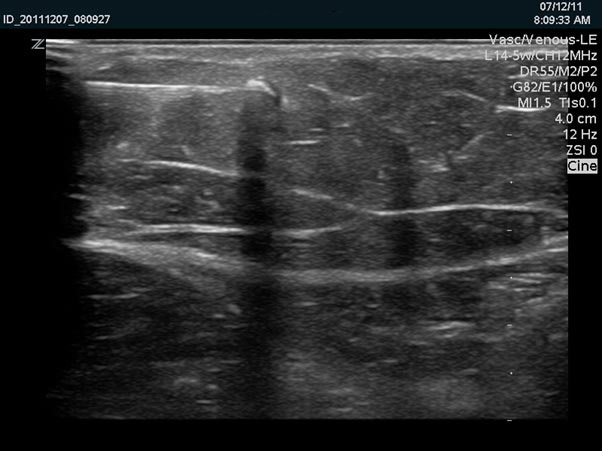 The needle can be seen with ultrasound guidance moving towards the vein and then penetrating the vein wall. Once the needle is in place the sclerosing agent (foamy solution) is injected into the vein all while being monitored by ultrasound. The sclerosant or foam reflects the soundwaves from the ultrasound, making it easier to see where the foam has travelled within the vein and makes it easier to inject the right amount in the right place. Using ultrasound guidance allows for exact placement of the needle and the sclerosing agent ensuring the entire vein is treated. Ultrasound guidance makes for a very accurate vein treatment, without ultrasound you cannot successfully treat varicose veins. A maximum dose of sclerosant that can be used per session is 15 mls, this is the recommended dose that your body can safety filter out after each vein treatment and the reason why we cannot treat the entire leg on one day. Usually one leg can be treated in 2 sessions with an option of a session of microsclerotherapy to tidy up any spider veins if necessary. Follow up ultrasounds at 1 and 2 months after the last procedure can demonstrate the effectiveness of the vein closure. Minor top-up injections can be done to ensure the optimum closure of the veins. These visits are covered by medicare. BRING YOUR STOCKING EACH TIME YOU COME FOR A CHECK-UP.